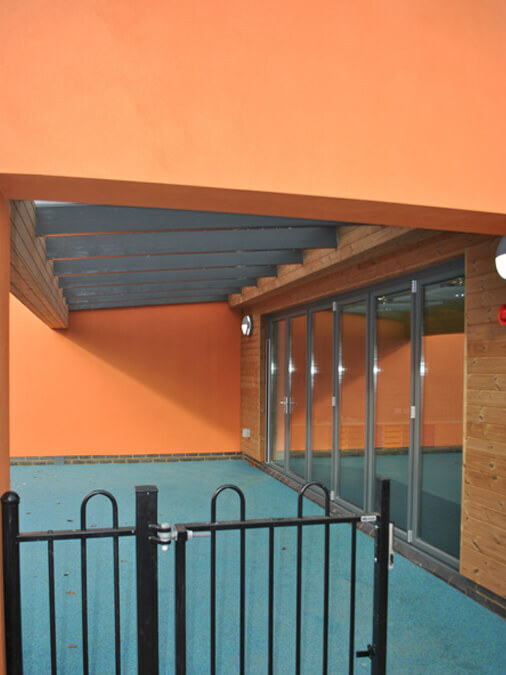 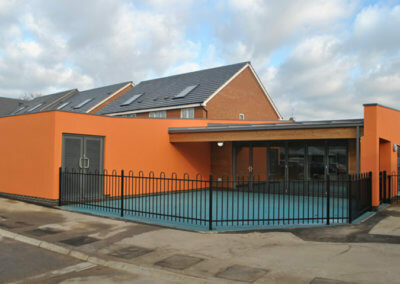 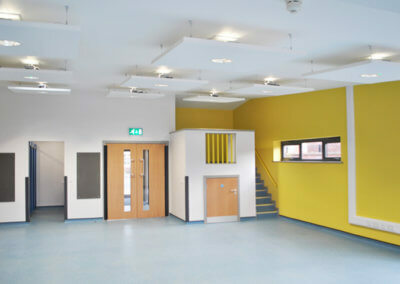 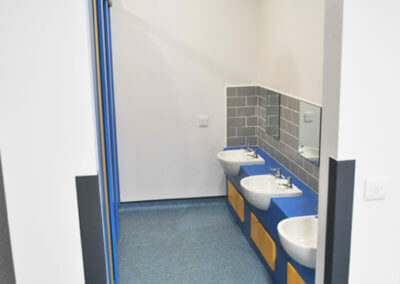 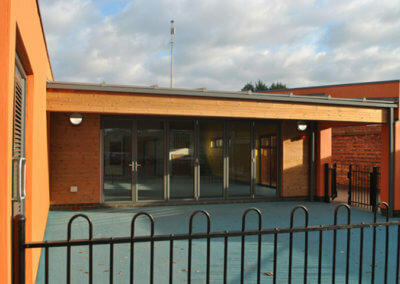 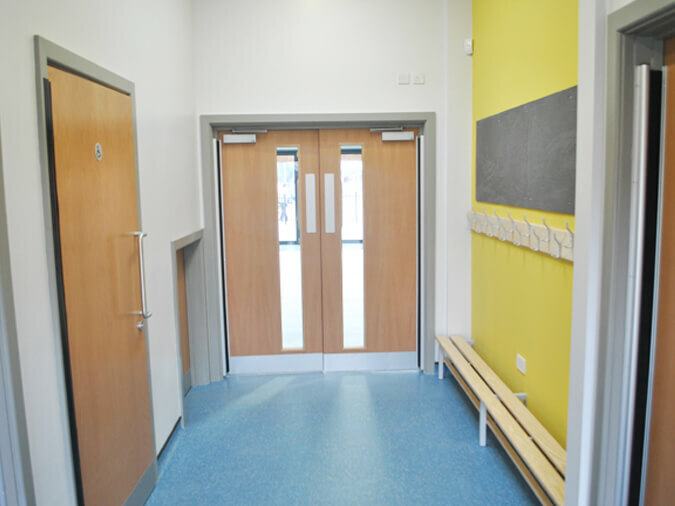 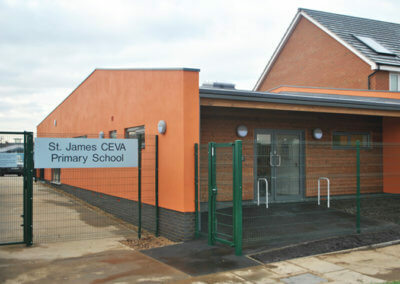 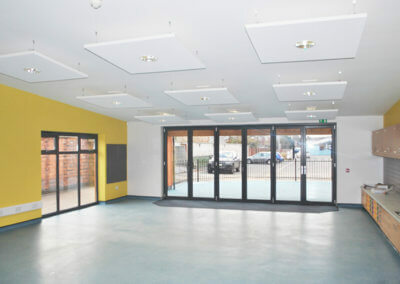 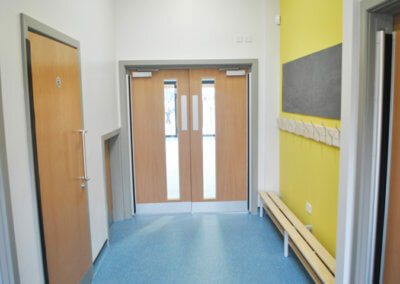 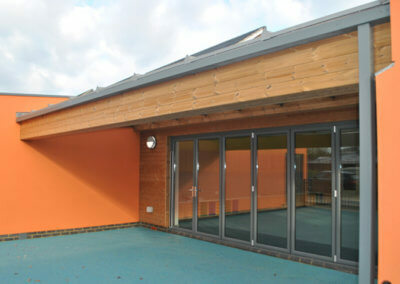 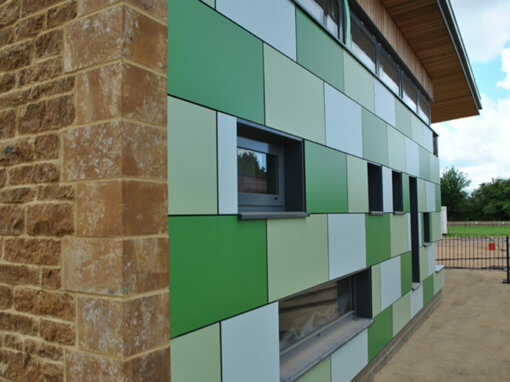 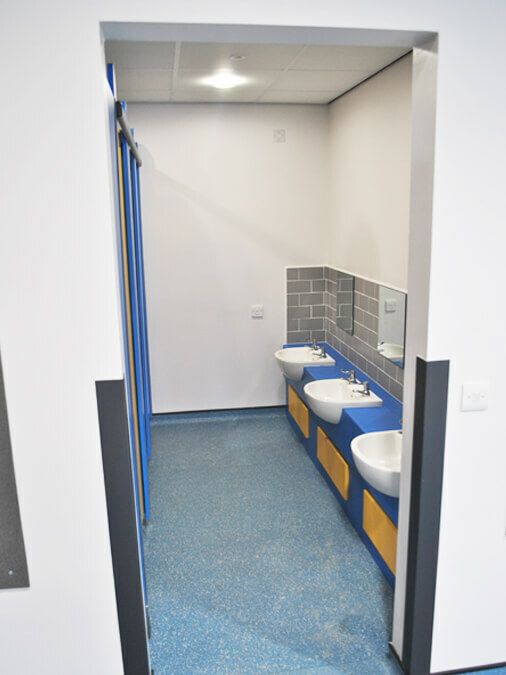 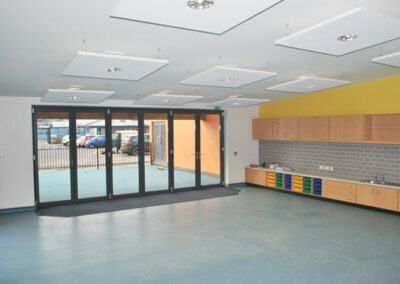 New build infant reception block providing learning and internal play areas, office space and toilet facilities, the external area included a soft play area for the pupils outside play. 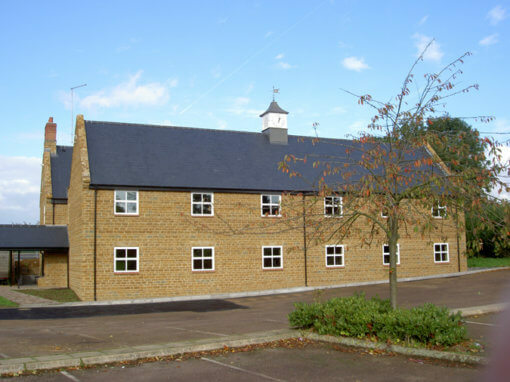 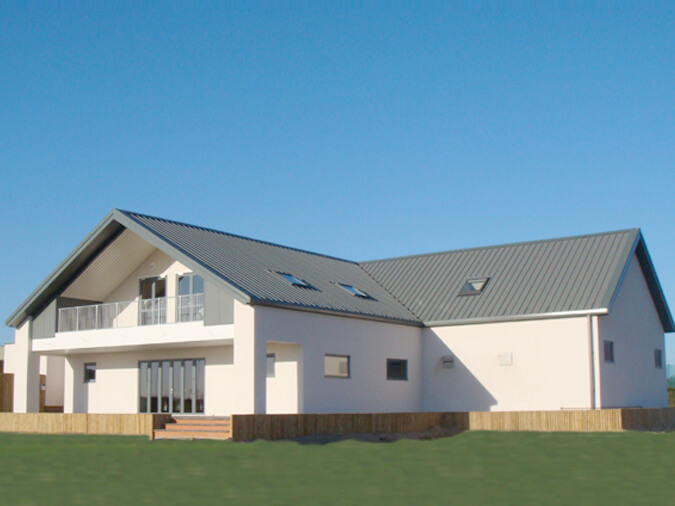 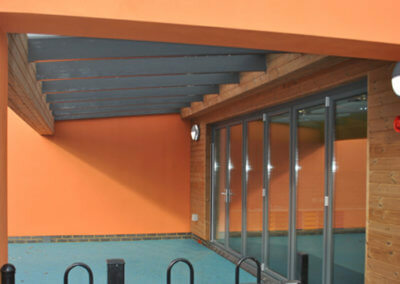 The building is steel frame with none load bearing masonry walling finished with a render. 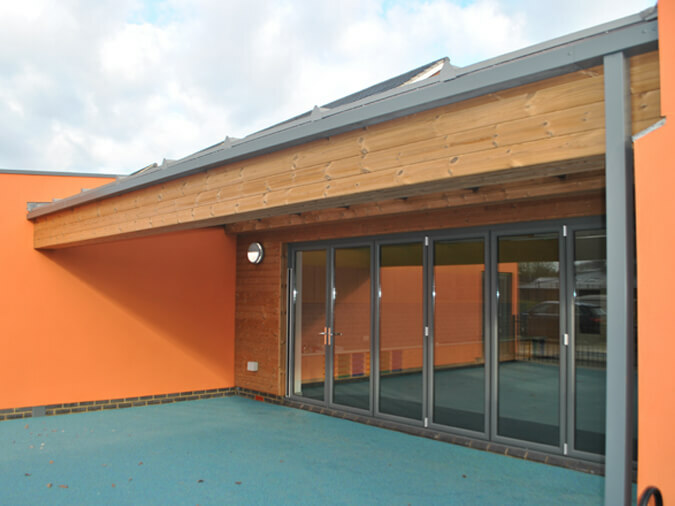 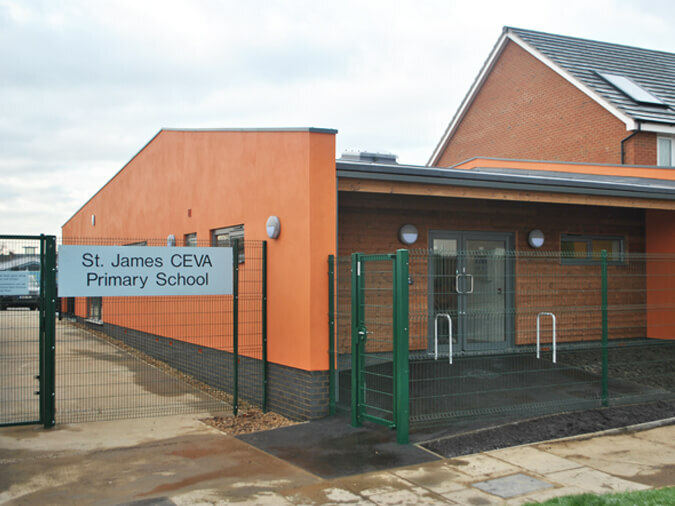 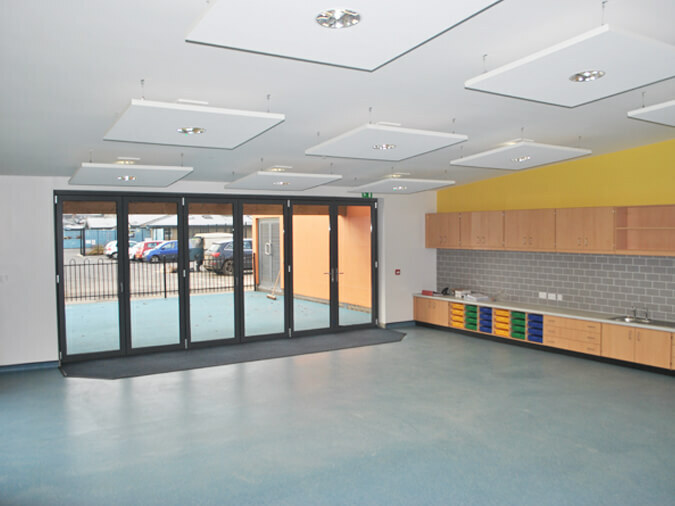 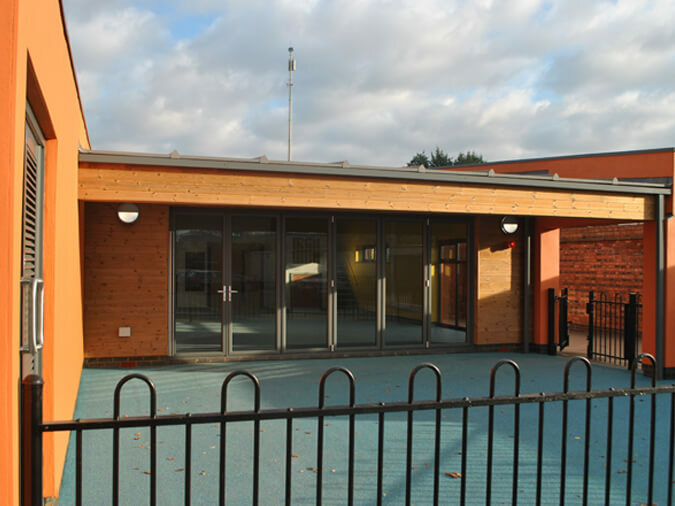 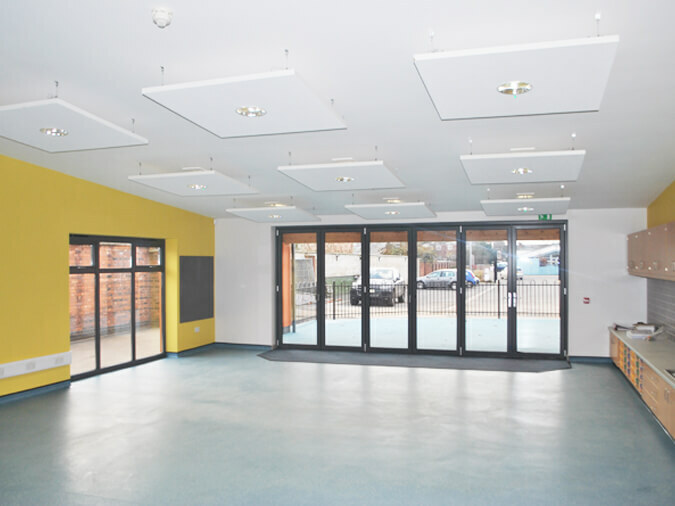 The roof is constructed using single ply material complete with a powder coated glazing and door package featuring a large bifold door set to aid internal / external play.